This page features PR services, book publicists, media coaches, and PR agencies which specialize in working with book authors and publishers. Alert: Before signing with any service, be sure to check out their references. PR services, book publicists, media coaches, and PR agencies who work with authors and publishers. NewsReleaseWire.com – Send 52 news releases a year, without per-release charges with News Release Wire and get a profile about you and your book in the printed Yearbook of Experts. All you do is load news releases into the system which then sends them out to Lexis, Google News, and other Internet news services. Save $100, when you click from my discount link: https://www.ExpertClick.com/discount/John_Kremer. Nissen Public Relations, Rob Nissen, 667 Shunpike Road #6, Green Village NJ 07935; 973-410-1234. Email: rob@nissenpr.com. Specializes in nonfiction with an emphasis on business, politics, history, biography, and health. O’Connor Communications, Lynda and Jim O’Connor, 333 Warwick Road, Lake Forest IL 60045; 847-615-5462; Fax: 847-615-5465. Email: lyndao@oconnorpr.com and jimo@oconnorpr.com. They create press materials, organize book tours, plan special events, arrange media interviews, help with platform development, assist with agent acquisition, and do national and regional campaigns. Jim is an author himself who has been on hundreds of TV shows including Oprah, The View, CNN, The Early Show, The Today Show, and CBS Sunday Morning. OgleMoore Creative Services, Leslie Ogle and Emily Moore, 1320 Berry Road, Knoxville TN 37920; 865-609-1199. Email: leslieogle@comcast.net. A full-service publishing and publicity agency that emphasizes “the collaborative aspects of working with publishers and authors.” Offers services for all phases of book production: manuscript preparation, distribution consulting, book tour management, media bookings, etc. Rebecca O’Meara Communications, Rebecca O’Meara, 1517 Fern Street, New Orleans LA 70118; 504-861-2188. Email: rebeccaomeara@aol.com. She has booked more than 200 national interviews for her clients in the past six months, including New York Times, Wall Street Journal, Ladies Home Journal, CNBC, CNN, Fox, WGN, etc. She specializes in placing columns and features as well as getting media interviews. On the Scene Productions, 5900 Wilshire Boulevard #1400, Los Angeles, CA 90036; 323-930-1030; Fax: 323-930-1840. New York: David Henry, VP, Business Development, 747 Third Avenue, New York, NY 10017; 212-715-0800. Email: dhenry@onthescene.com. A full-service video production company specializing in satellite media tours, radio tours, VNRs, audio news releases, webcasting, and more. Orobora Inc., Steve O’Keefe, Executive Director, 644 Greenville Avenue #234, Staunton VA 24401; 540-324-7023; Cell: 540-715-3051. Email: steve.okeefe@orobora.com. Online and Internet PR expert. Over the River Public Relations, Jennifer Richards & Rachel Tarlow Gul, Co-presidents, P O Box 408, Leonia NJ 07605; 201-242-9637. Email: Jen@otrpr.com or Rachel@otrpr.com. This publicity firm arranges national and local author tours, press kit development, magazine and newspaper placements, Internet marketing, and radio phoner campaigns. Lindsy Parker Media, Lindsy Parker, President, 36 Heritage Drive, North Easton MA 02356; 508-238-7715. Email: lparker@lindsyparkermedia.com. Offers print and broadcast publicity. Formerly a radio talk show writer, producer, host, and station manager. Parkhurst Communications, Bill Parkhurst, 11 Riverside Drive #1TW, New York NY 10023; 212-362-9722. Email: bill@parkhurstcommunications.com. Media trainers, business writing, presentation skills, the art of the pitch. Perceptive Public Relations, Sandy Lawrence; 281-807-1300; Cell: 281-989-8892. Email: Sandy@PerceptivePublicRealtions.com. Author and book publicity. The Pincus Group, Aileen Pincus; 301-938-6990; Cell: 301-908-3896; Fax: 301-260-0016. Email: apincus@thepincusgroup.com. Media training and public speaking. Motto: Matching the power of communications to the power of ideas. Planned Television Arts – See Media Connect on the previous page. PR by the Book, Marika Flatt, P O Box 6226, Round Rock TX 78683; 512-501-4399. Email: marika@prbythebook.com. Specializes in offering publicity and promotion services to publishers, authors and experts, ranging from full service media campaigns to ala carte services (such as media training, press material writing, etc.). Handles campaigns for large publishers, but also launches first-time authors and independent presses. PR Works, Steve Dubin, 18 Main Street Extension #409, Brewster Park Building, Plymouth MA 02360. Email: sdubin@prworkzone.com. PR/PR Public Relations, Russell Trahan, President, 2301 Hickory Lane, Orlando FL 32803; 407-895-8800. Email: russell@prpr.net. Publicity for speakers and authors. Promotion in Motion, Irwin Zucker, President, 6464 Sunset Boulevard #755, Hollywood CA 90028; 323-461-3921; Fax: 323-461-0917. Email: irwinzuckerpr@aol.com. Book promotion. Jennifer Prost Public Relations, Jennifer Prost, President, 51 Christopher Street, Montclair NJ 07042; 973-746-8723; Fax: 973-746-8759. Email: jprostpr@comcast.net. They offer traditional publicity services – author tours, event planning, and press kits – as well as crisis management, online marketing, and niche publicity. Prowrite Public Relations, Christel Hall, 1173 San Marcos Circle, Minden NV 89422; 949-291-5988. Email: christel@prowrite-pr.com. Raab Associates, Susan Raab, 345 Millwood Road, Chappaqua NY 10514; 914-241-2117; Fax: 914-241-0050. Email: info@raabassociates.com or sraab@raabassociates.com. Founded in 1986, Raab Associates specializes in publicizing children’s books and family-oriented books. RadioPRGuy.com, Alex Carroll, AceCo Publishers, 924 Chapala Street #D, Santa Barbara CA 93101; 805-962-7834; Fax: 805-564-6868. Email: Alex@RadioPublicity.com. Web: http://www.radioprguy.com. Offers a database of radio stations as well as a course on getting publicity via radio phone interviews. David Ratner Publicity, David Ratner; 617-320-0556. Email: david@ratnerpr.com. 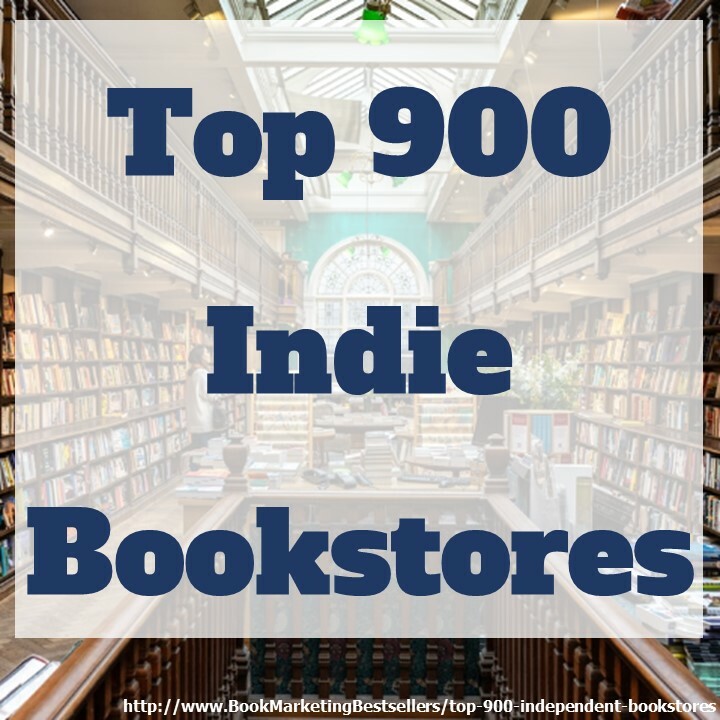 Publicity and marketing for authors of all genres, with an emphasis on business, finance, and nonfiction. 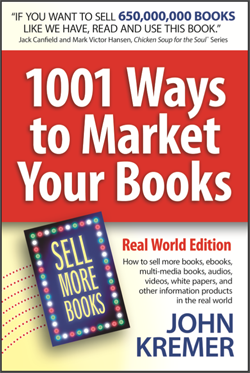 Works with corporations and individuals interested in developing books as brand equity. RBC Communications, Rita Barry-Corke, CEO; 512 Arnon Lakes Drive, Great Falls VA 22066. Cell: 860-304-1807. Email: rita@rbccommunications.com. Book publicist and media trainer will develop media kits, write press releases (and distribute them), produce video book trailers, and more. Mary Reed Public Relations, Mary Reed, 1101 Charlotte Street, Austin TX 78703; 512-441-5212. Email: mreed4@aol.com. Specializes in nonfiction books, especially those related to consumer issues, small business, money, and legal matters. But she has also worked with fiction, cookbooks, photography, history, health, and biographies. Ripple Public Relations, 595 Elm Place #218, Highland Park IL 60035; 847-432-6000; Fax: 847-432-0400. Email: ripple@ripplepublicrelations.com. RMA Publicity, Rachel M Anderson, Publicist; MN; 952-546-0928; Cell: 952-240-2513. Email: rachel@rmapublicity.com. PR for fiction, memoirs, business, finance, real estate, family, children’s, politics, travel, and more. Roger Charlie, Samantha “Sami” Lien, 1930 S Fox Street, Denver CO 80223; 720-425-3933. Email: sam@rogercharlie.com. Offers press kits, press releases, event coordination, targeted media outreach, website design, and digital marketing. Sherri Rosen Publicity, Sherri Rosen, President, 454 Manhattan Avenue #3J, New York NY 10026; 212-222-1183. Email: sherri@sherrirosen.com. Saichek Publicity, Wiley Saichek, 299 10th Avenue #1C, New York NY 10001; 646-896-9960. Email: SaichekPublicity@gmail.com. Offers Internet marketing and PR services for authors. Stuart Schnee PR, Stuart Schnee, 14 Walt Whitman Trail Morristown, NJ 07960 and 10 Haportzim Street, Jerusalem, Israel; US: 973-796-2753; Israel: 054-7909120. Email: stu@stuartschnee.com. Special emphasis on Jewish books and media. Susan Schwartzman Public Relations, 811 Bronxville Road, Bronxville NY 10708; Phone / Fax: 877-833-4276. Email: sjschwa@aol.com. 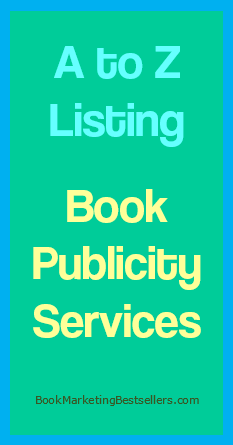 Specializes in book publicity campaigns for authors and publishers. Selby Ink, Mari Selby, Director, P O Box 791, Staunton VA 24402; 540-446-5573; Cell: 540-851-0864. Email: mari@selbyink.com. Works with authors and publishers whose material makes a difference in the world. Rebecca Shafir, Media Coach, 61 Turkey Hill Road, West Newbury MA 01985; 978-255-1817; Fax: 978-255-1838. Email: rebeccashafir@gmail.com. Affordable media coaching for authors. Beth Shepard Communications, Beth Shepard, 32 Franklin Road, Gill MA 01354; 413-863-2268; Fax: 413-774-4141; Cell: 413-221-1938. Email: Beth@BethShepard.com. Culinary and nutrition spokesperson and literary agency. Shirley & Banister Public Affairs, 122 S Patrick Street, Alexandria VA 22314; 703-739-5920; 800-536-5920. Email: info@sbpublicaffairs.com. Represent conservative, politically savvy experts. Side Door Communications, Debbie Lykins, 3004 Talaga Drive, Algonquin IL 60102; 224-234-6699. Email: deb@sidedoorcom.net. Connects publishers and authors of faith-based books to national and local media outlets. Smith Publicity, Dan Smith, 1930 Marlton Pike E, Cherry Hill NJ 08003; 856-229-0807; 877-585-4050; Fax: 856-504-0136. Email: info@smithpublicity.com. Book promotion and publicity, marketing, and professional writing. SoCal Public Relations, Rebecca Grose, 8697C La Mesa Boulevard #204, La Mesa CA 91942; 619-334-7164. Email: socalpublicrelations@yahoo.com. Specializes in young adult and children’s books. Has worked with many children’s authors and illustrators, including E.L. Konigsburg, Patricia & Fredrick McKissack, Walter Dean Myers, Audrey Penn, and more. The Soussana Group, Tany Soussana, President, 475 Washington Boulevard, Marina del Rey CA 90292; 310-633-4455; 800-745-1025. Email: tany@thesoussanagroup.com. Formerly with Rogers and Cowan, Tany was responsible for the campaigns for authors such as Barry Sears and D R Whitney. She does literary and entertainment PR. Spokespersons Plus Network, Deborah Durham, P O Box 560, Topanga CA 90290; 505-310-2848. Email: deb@spokespersons.com. Matches authors who can be spokespersons with corporate clients or PR agencies with a need. Steinreich Communications, Stan Steinreich, CEO, Washington DC; 201-498-1600. Email: ssteinreich@scompr.com. Specializes in publicity for direct response TV companies. Stern Strategy Group, 186 Wood Avenue S #300, Iselin NJ 08830; 908-276-4344; 908-276-7007. PR, speakers bureau, and more for business and sustainability books. Strategic Vision PR Group, David Johnson, CEO, 677 Main Street, Suwanee GA 30024; 404-380-1079; Cell: 404-441-7590; Fax: 404-880-0084. Email: info@strategicvisionpr.com. Four divisions: Corporate, book PR, lifestyle and sports, and public affairs. Kama Timbrell Communications, Kama Timbrell, New York NY; 201-204-9417. Email: Kama@KamaTimbrell.com. Provides authors and publishers of fiction, business, personal finance, health, parenting, self-help, and other nonfiction genres with media relations, web design, social media, and digital marketing services, as well as literary consulting. They specialize in focused communications strategies, working closely with clients to develop messages that resonate with audiences. Bob Todd Publicity, Bob Todd, P O Box 638, St James City FL 33956; 612-910-1468. Email: BT@BobToddPublicity.com. Publicity campaigns, event management, and PR consultant. Tomic Communications, Charlotte Tomic, 3801 Collins Avenue, Miami Beach FL 33140; 917-882-5243; Fax: 305-673-4069. Email: charlotte@tomiccommunications.com. Works with both fiction and nonfiction authors to put their names in the spotlight. Also coordinates speaking opportunities, including book signings and talks. Also serves physicians, healthcare companies, nonprofits, and academia. 23 Kazoos, Wendy Kenney, Phoenix AZ; 480-389-5219; 877-932-5219. Email: buzz@23kazoos.com. Offers marketing and publicity for auto repair shops. She used to do book and author PR as well. Veritas Communications, Don Otis, P O Box 1505, Sandpoint ID 83864; 719-275-7775. Email: don@veritasincorporated.com. Specializes in Christian and conservative topics and authors. They schedule radio, TV, print, and blog interviews and reviews. Karen Villanueva Author Services, Karen Villanueva, 7499 Sagebrush Road, Santa Fe NM 87507; 239-877-4248. Email: authorcare@aol.com. Book publicist. Warwick Associates, Simon Warwick-Smith, 18340 Sonoma Highway, Sonoma CA 95476; 707-939-9212; Fax: 707-938-3515. Email: warwick@vom.com. PR for nonfiction and spiritual books. Wasabi Publicity, Michelle Tennant, President, 438-B Highway 176 East, Saluda NC 28773; 404-865-1405. Email: info@wasabipublicity.com. Offers a PR search engine (http://www.SearchPressKits.com), online press kits (http://www.presskit247.com), and a free media lead site (http://www.PitchRate.com). Skye Wentworth Public Relations, Skye Wentworth, 11 High Road, Newbury MA 01951; 978-462-4453. Email: skyewentworth@gmail.com. 15 years of media planning, market strategy, event programming, video and slide production, and corporate communications. Offers press kits, author tours, newspapers, magazines, radio, TV, and the Internet. Specializes in children’s books, travel, health/wellness, cookbooks, and literature that lifts your spirit. Westwind Communications, Scott Lorenz, President, 1310 Maple Street, Plymouth MI 48170; 734-667-2090; Cell: 248-705-2214; Fax: 734-455-7090. Email: scottlorenz@westwindcos.com. Offers publicity for books, law, medical, and iPhone apps. Word Slinger Publicity, Beck Willem. Email: publicity@bookreviewrequest.com. $149.99 for a one-year listing. Workhouse Publicity, Adam Nelson, CEO, 133 West 25th Street #3W, New York NY 10001; 212-645-8006; Fax: 212-645-1950. Email: info@workhousepr.com. Founded in 1996. Does general publicity as well as book publicity for art and fashion authors as well as fashion houses like Cartier, Chanel, Coach, and others. Also does PR for Assouline Publishing, powerHouse Publishing, and more. NewsReleaseCritiques.com – I see dozens of news releases every day. Few make the grade. Most are uninteresting, unnewsworthy, and product-oriented. What does it take to sell books with a good news release? In a 15-minute phone call, I can give you feedback on your news release to help you make it one that sells books. To book a critique, send me your news release via email along with the best time to call you within a few days. Each critique includes a 15-minute feedback session via telephone as well as a rewrite by John to create a news release that gets attention and makes sales. 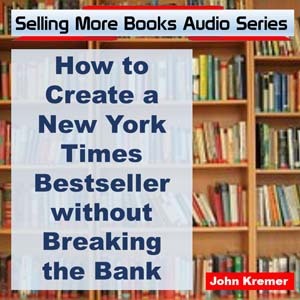 Call John Kremer at 575-751-3398 today to get your news release that sells books!